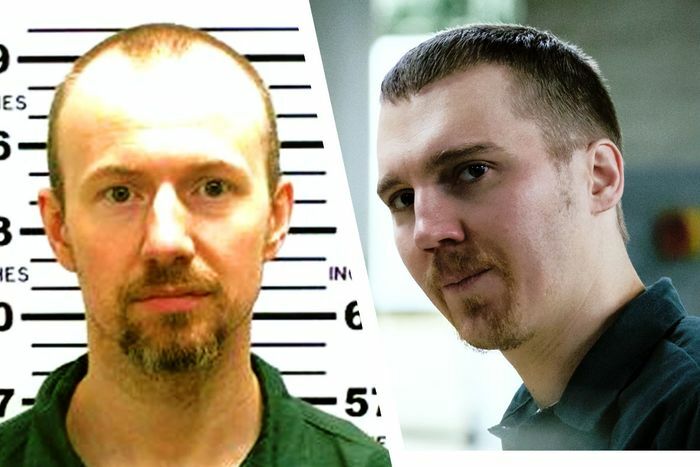 In case you were wondering: Yes, Richard Matt and David Sweat — the two inmates who escaped an upstate New York maximum-security prison in 2015, with only one living to tell the tale — were both lifelong bad seeds and brutal murderers. That’s not always clear for a majority of the Showtime miniseries drama Escape at Dannemora, director Ben Stiller’s dramatization of events leading up to their capture/demise near the Canadian border. 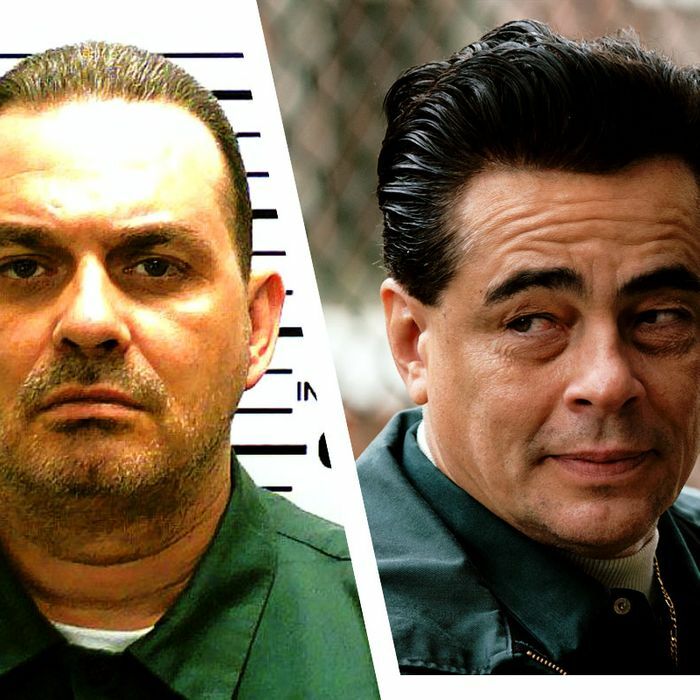 That’s why we’ve put together the following digest of six central Dannemora characters, detailing their real-life backgrounds and, where applicable, current societal standing. Richard Matt was born under the proverbial bad sign. 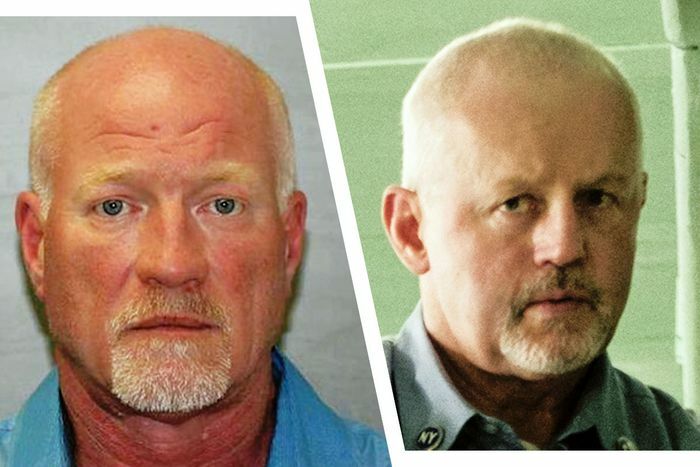 Decades before the 49-year-old convicted murderer and multiple-time prison escapee was shot and killed by U.S. Border Patrol agent Christopher Voss in the woods of upstate New York, he’d been all but cast aside in his youth. According to his son Nicholas Harris, Matt was left as an infant in a car. He was then raised in the upstate town of Tonawanda, close to the Canadian line, by foster parents. Those who knew him then insist he was a menacing bully by elementary school and bona fide felonious criminal come early adulthood, even escaping an Erie County jail circa 1986. Matt had two children: Nicholas (whom he conceived with his childhood crush and eventual girlfriend Vee, who raised Nicholas alongside his stepfather), and a daughter Jamie (conceived with ex Lucille Cliffa-Longo), who recently penned a book about her largely estranged relationship with her dad. As you can see in this video, Matt was primed for perpetrating more serious acts of violence by the time he was 30. In December 1997, he and an accomplice kidnapped, killed, and, with the aid of a hacksaw, dismembered Matt’s former boss William Rickerson, who was 76 at the time. However, he wouldn’t be convicted of that act until 2008. In the interim, following the Rickerson murder, Matt fled to Mexico, stabbed a man to death, and served nine years behind bars there (and purportedly attempted to escape) before being extradited to the U.S. and formally tried in Rickerson’s death. As one retired police captain who had his brushes with Matt told the Washington Post, “He’s the most vicious, evil person I’ve ever come across.” Matt was ultimately put down for good a mere ten miles from Malone, New York, the hometown of Joyce “Tilly” Mitchell. Though 14 years Matt’s junior, David Sweat was himself no stranger to skirting the law. He was also partly the outcome of a dysfunctional upbringing. “We drank a lot. We partied a lot. His life was into turmoil,” a friend of Sweat’s mother, Pamela, told the New York Times. By the time he was 9, Sweat — who’d to that point lived primarily with Pamela and his two sisters in upstate Deposit, New York — was exhibiting violent tendencies. Pamela sent him to live with his aunt, where his aggression intensified, ultimately landing him in foster care. In 1996, Sweat tried and failed to burglarize a Binghamton group home, but served nearly two years on a separate attempted-burglary charge between 1997 and ’99. Finally, on the eve of July 4, 2002, after burglarizing a Pennsylvania fireworks store with two friends, Sweat and his accomplices were confronted by local Deputy Sheriff Kevin Tarsia in nearby Kirkwood, New York. Sweat and one of the other men shot Tarsia 15 times, fatally wounding him. Sweat would be sentenced to life without parole, and remanded to Clinton Correctional. On June 28, 2015, 16 miles north of where Matt was shot and killed, a police sergeant spotted Sweat, shot him twice in the torso and apprehended him. Sweat was then confined to 23-hour-a-day solitary at Five Points Correctional Center, though he was subsequently transferred to Attica Correctional after trying to bribe Five Points officials. This past March, the now-38-year-old inmate lost 60 days of privileges after getting caught fondling himself during a visit from his girlfriend. 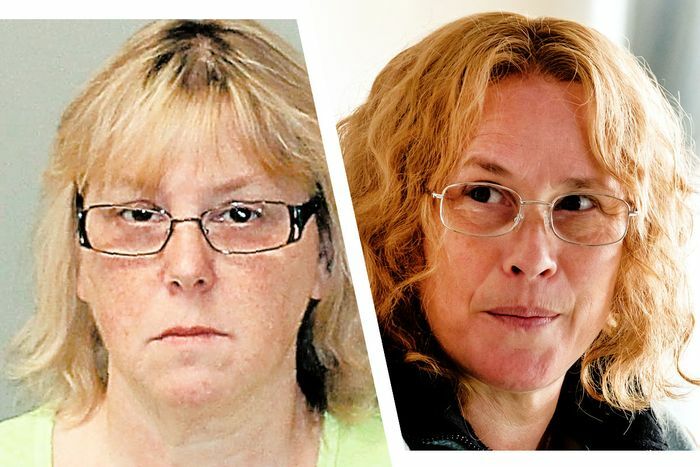 Like the inmates she wound up assisting, Joyce Mitchell had a complicated childhood. In a 2017 parole hearing (she would be denied parole twice that year), Mitchell described how she experienced emotional abuse from her mother, who viewed her as inferior to her brother and sister. (Her father, who passed shortly before the escape, bore an uncanny resemblance to his daughter.) 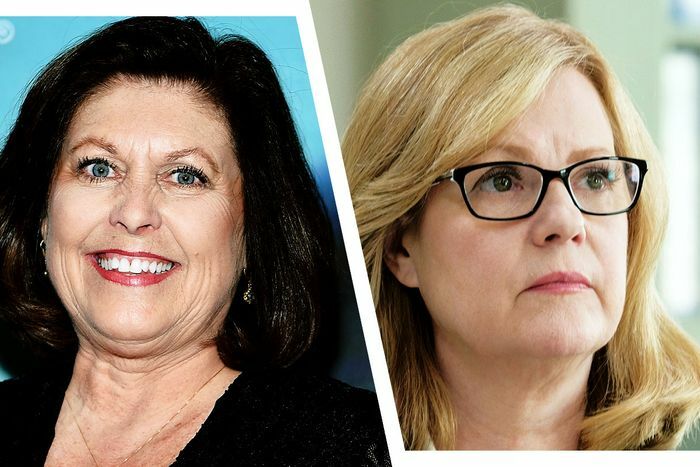 In the 1980s, she earned an Associate Degree in Applied Science from an area community college and dated a man named Tobey Premo, whom she alleges was abusive, adding that the two of them were concurrent alcoholics for a time. They also were briefly married in the early ’90s and gave birth to Mitchell’s son, also named Tobey, whom her current husband, Lyle, would later adopt. Mitchell married Lyle (who, apparently, was part of a workplace love triangle with Mitchell and Premo) in 2001 and had been working at Clinton Correctional, where she was tailor-shop seamstress, for about seven years at the time of Matt and Sweat’s escape. Ever-loyal, Tilly’s second husband and adoptive father of her son Tobey apparently continues to hold a candle for her from afar. Though if an ex-wife of Mitchell’s ex-husband is to believed, Lyle and Tilly’s relationship began in scandalous fashion while they worked at an upstate slipper factory. (Said factory, long since closed, has been under lengthy environmental-remediation review best we can tell.) 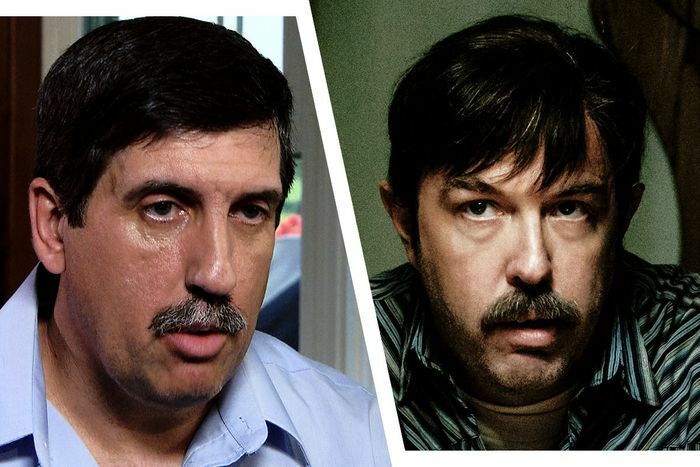 There’s not a lot of information public about Lyle and his past, part and parcel with him having refused to cooperate with Ben Stiller during production of the series. In the immediate aftermath, Lyle’s lawyer told press that he remained in love with her but “I don’t know if he is going to be very supportive.” Lyle’s tune changed by the time she’d served a couple years and been denied parole, which he felt was severe given another prison employee, Gene Palmer, got away with far less time in the slammer. A loyal New England Patriots fan, Lyle still resides in the Dickinson Center, New York home he shared — and may share again — with Tilly. Palmer had worked at Clinton Correctional for 28 years (here’s an NPR story in which Palmer conducted a walking tour of the grounds in the mid-2000s), and by his attorney’s own admission, would exchange favors for information that could help preempt conflicts and violence within the cell blocks. Several people close to him have detailed how Palmer and his wife, Laurie — who has Multiple Sclerosis — separated over a decade ago, and that Palmer let her have their Plattsburgh home and continues tending to her. He now lives in the town of Cadyville with his current girlfriend (fiancée by some accounts), Mary Lamar, and as suggested in Dannemora, loves bandannas and rock and roll. IG Leahy Scott is hardly seen through the bulk of Dannemora, save a series-opening questioning of Tilly. But she was instrumental in bringing matters to trial once the hysteria of Matt and Sweat’s escape settled down. Her experience dealing with folks from upstate New York no doubt helped. Prior to filling the role of state IG, Leahy Scott had, among other positions, spent significant time as Columbia County’s chief assistant district attorney. That was before her tenure as assistant attorney general for all of New York state. Ironically, Leahy Scott originally hailed from downstate in Nassau County, Long Island, and earned both her bachelor and legal degrees from Hofstra University, a few miles from her home base in Levittown. (She was, in fact, named Hofstra’s Woman of the Year in 1981.) Since being named IG in 2012, she’s overseen investigations into everything from workers’ compensation fraud to the conduct of forensic laboratories. And, yes, she led the charge in putting together a comprehensive report (more than 150 pages, and 170-plus interviews!) on how the hell Matt and Sweat nearly got away with a monumental escape. Among her implemented recommendations to prevent future calamities? Better training for newly promoted staff, stronger night searches, and more training for incoming employees on reporting any observed misconduct. Alas, as Leahy Scott — who lives upstate with her husband Michael (hold your Office jokes) and has two grown children — has documented just this past August, the security lapses at Clinton Correctional and similar facilities persist.